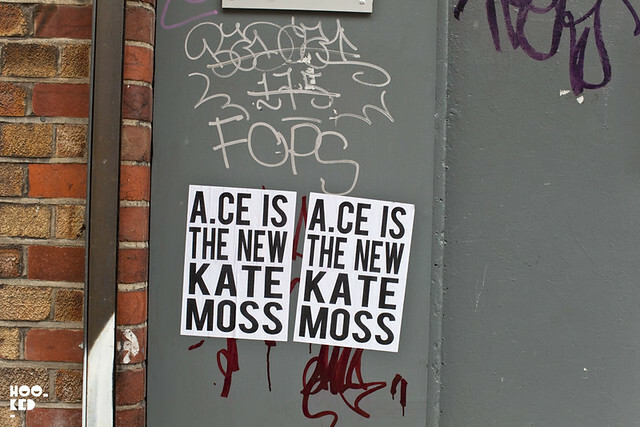 A.CE is the new Kate Moss! 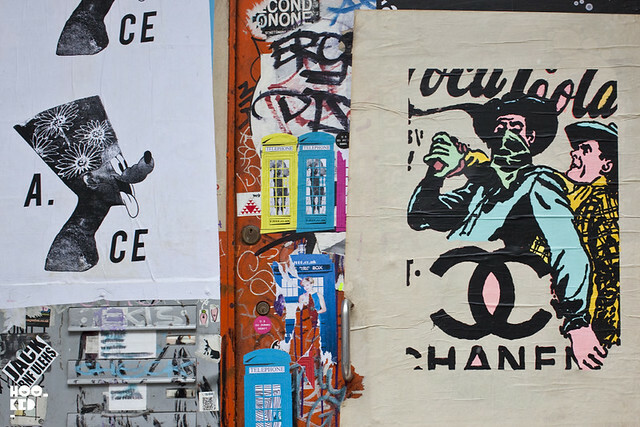 Later this week London street artist and friend of Hookedblog, A.CE heads to the Chicago for his American debut with 'PLANET OF THE A.CE', a solo show at the Maxwell Colette Gallery in Chicago. 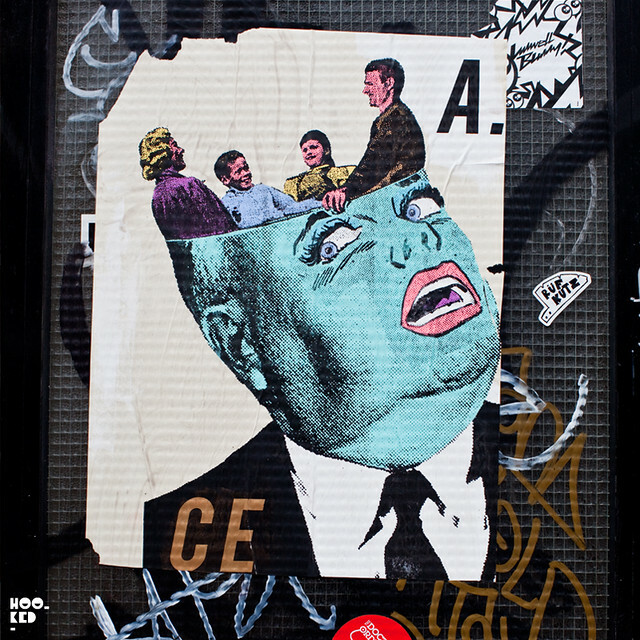 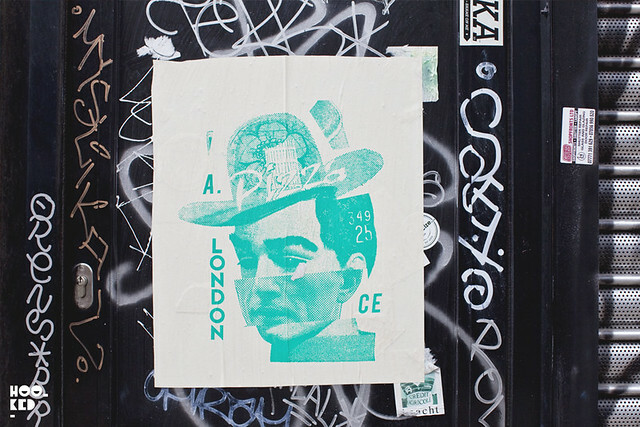 The artist has been hitting the streets of East London for nearly ten years with his mix of wheat-pasted images and stickers and his upcoming show will include a selection of hand-printed, unique works on paper featuring some of his classic and current works. 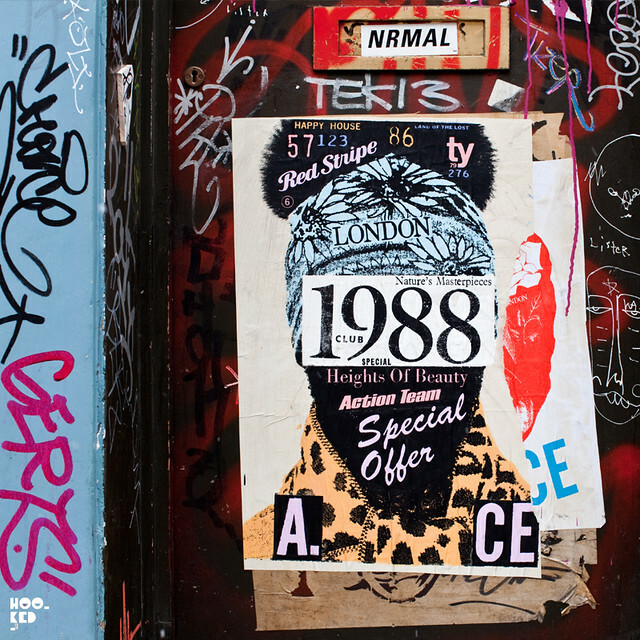 Inspired by Dada collage, classic pop art and graphic design, A.CE says that his work "is an extension of the graffiti he started doing back in the 90’s and despite the move away from those conventional graffiti references, he is still driven by the fundamental need of the writer to ‘get up’ and make his mark"
With works for the show complete and now en route to the gallery, A.CE took some time out before heading stateside to hit the streets of East London over the weekend with a series of new colourful paste-ups some of which are pictured here. 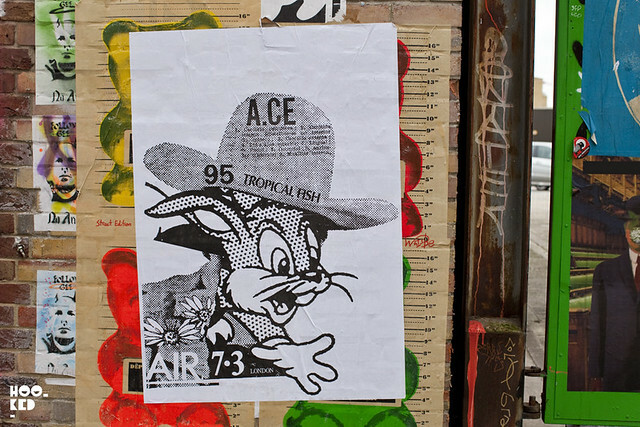 If you are stateside, A.CE's solo show, PLANET OF THE A.CE runs March 16, 2013 - April 20, 2013 at Maxwell Colette Gallery with an opening reception on Saturday, March 16, from 6pm until 10pm.